Tens of thousands of companies in Brazil’s industry could be interested in using solar heat. Businesses which require large amounts of thermal energy below 400 °C can be found in several sectors, from beverage, chemical and food production to leather and textile making – the right kind of clientele for solar thermal suppliers. 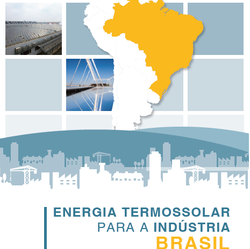 These are two of the key findings from the Solar Heat for Industry: Brazil study in Portuguese, which was published in August 2018 as part of the Solar Payback project. It will be presented during the Solar Payback Conference, a half-day event scheduled to take place on 30 August at the Intersolar South America in Sao Paulo. Energy demand in the industrial sector is now almost twice as high as it was in 1990 and increased from 43.5 Mtoe to 84.2 Mtoe. Heat dominates final energy consumption in industry, while demand for electricity has been fairly stable over the last 20 years, failing to exceed 20 %. Industrial heat demand below 400 °C makes up 59 %, or 67.4 Mtoe, of the total and solar thermal technologies are an efficient means of meeting that demand. Biomass provides 47 % of the thermal energy consumed in industry. An estimated 25 % of the firewood used as fuel is harvested locally, which means that deforestation is an issue that has not yet been resolved. Over 80 % of the heat consumed in the sugar industry is produced from bagasse, which is why the sector is not nearly as relevant as others regarding the use of solar heat for industrial processes, also known as SHIP. You can download the key charts of the described report online.